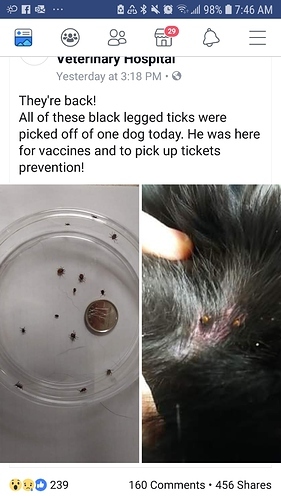 I’ve heard that ticks are out already. Just keep your eyes open and get em before they dig in. Lyme disease is 10/10 bad. Avoid it! Already? I was hoping the colder winter this year would have slowed them a bit, guess not. Ran into Kaarin in Fight today, she said she’s found a few on her dog already this year. Hammonds Plains. So yes there are likely ticks at Fight and everywhere between. Lyme disease almost killed my brother and I would hate to see any of you getting it. 100 percent agree. I’ve got it, but not as bad as some. Those are freaky little creatures for sure.